Happy Monday, ya'll! I hope you all had a great Thanksgiving filled with food, family, and memories! 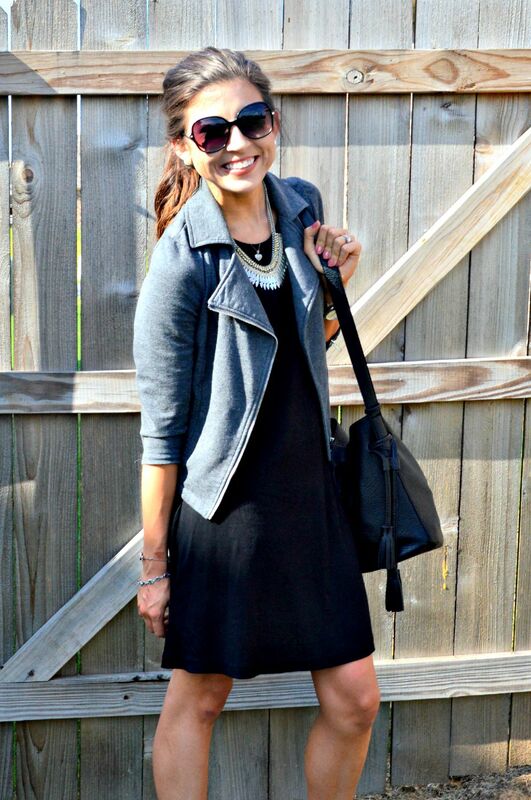 This simple, chic look is perfect for semi-chilly days because of the light layering going on here. Keep reading for all the details! BRANDZAFFAIR-Your fave brands at amazing prices. Today, we're talking deals on all your favorite brands. Who doesn't love a great deal, right?! Brandzaffair is an online clearing house that brings you the current sales and promotions going on at that given time for a huge variety of well-known brands. There are so many features on the site that you can use as tools to help you find what you're looking for at the best possible price. Through the site, you can connect with friends via chat or video to go on a virtual shopping trip in the comfort of your own home while maintaining communication with people you know will give you their honest opinion on products. 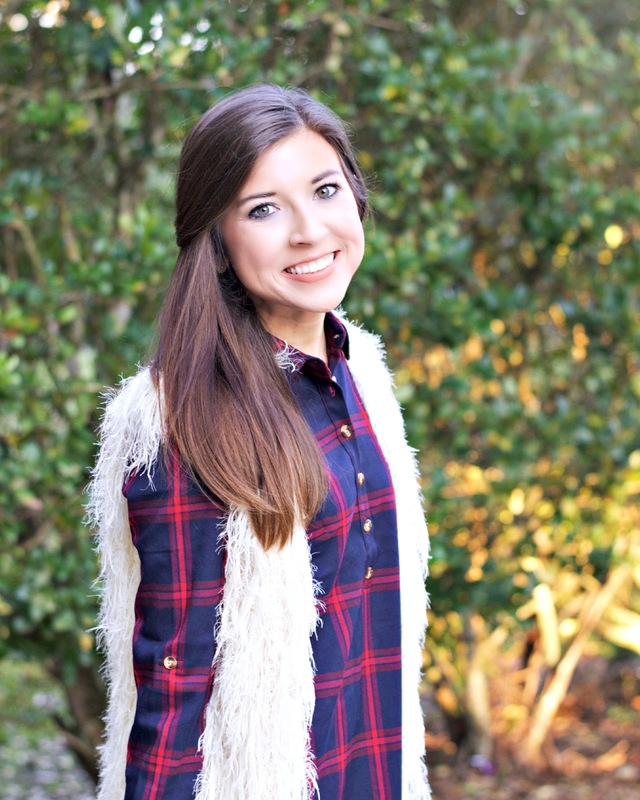 The editor-in-chief, Ashley, runs the website's blog where she regularly gives readers fashion advice and product reviews. I was fortunate enough to collaborate with Brandzaffair for this look. I saved my favorite look from my shoot with my uncle for last! You could say that I'm obsessed with this one! Happy Humpday, readers! 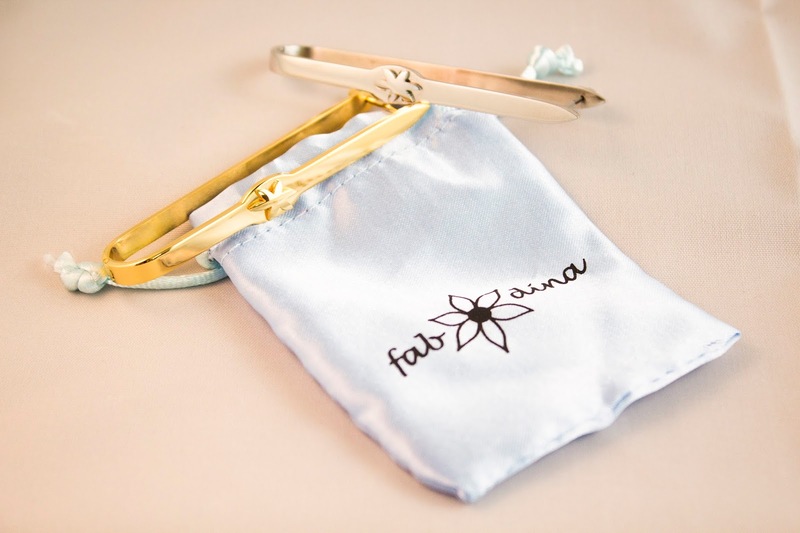 I've got a bonus post for you this week featuring the FabOdina Maxi Pin! Today, I'm showing you a look that's both, fall appropriate and will still keep you cool when temperatures are still high up there. 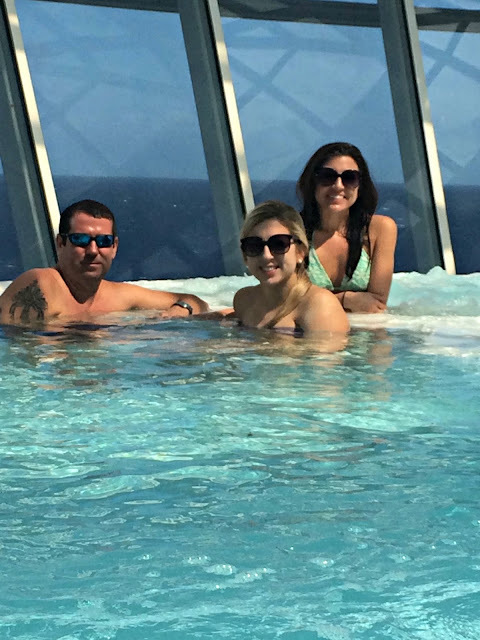 Day 4 was spent relaxing by the pool and in the hot tub. I could do this all day, every day, for the rest of my life. Day one consisted of my first plane experience since I was too young to know what a plane even was...I was nervous, but I got over it and now, I feel like I can fly anywhere. Don't worry, I'm taking plenty of photos and will, of course, post a recap of my adventures to the Bahamas! But first things first! Here's what I'm taking with me! 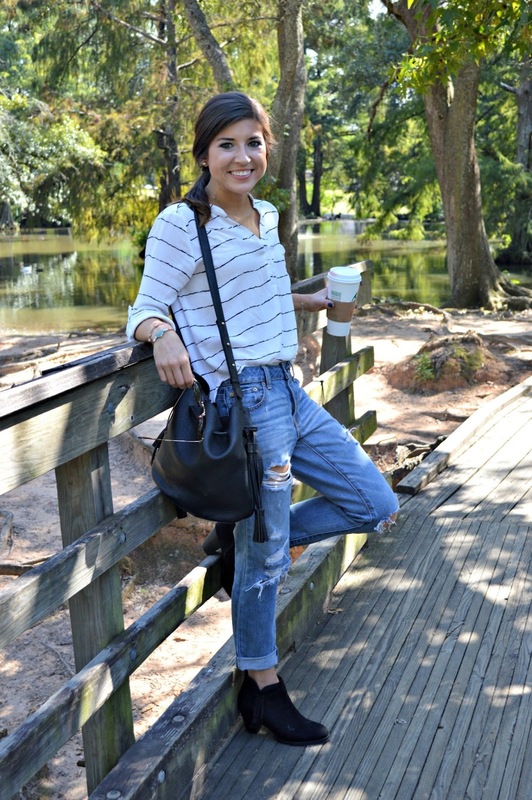 This week, I'm bringing wideleg vibes to The Life of a Lady and I am LOVING it! 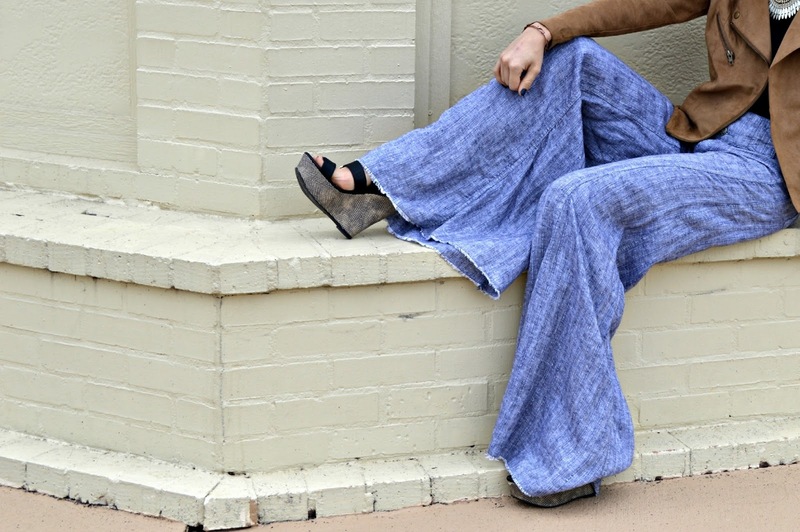 You all know that my love for 1970's fashion is never-ending, so these amazing Free People pants are making their second appearance on the blog. Check out my Back from the 70's post to see their debut. Today's look is brought to you by coffee. Because that's the only thing getting me through this crazy morning. Hey guys! Have you missed my face? This week's look is simple and chic because that's just how I roll. 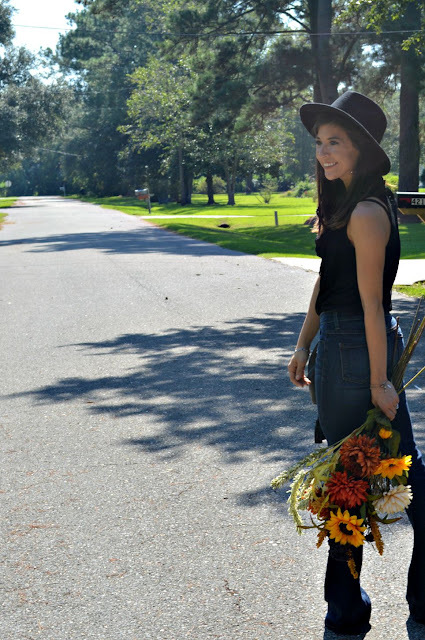 It's the final day of my Fall Lookbook series for Susan's in New Iberia, LA! 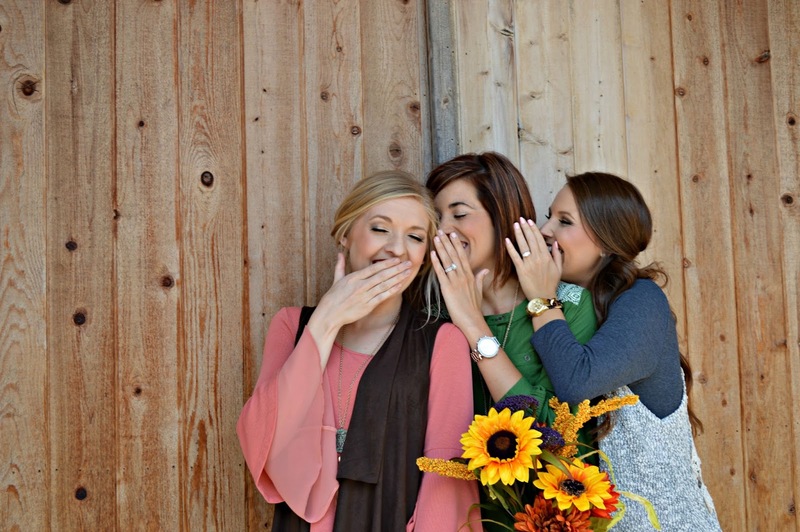 I'm obsessed with how it all turned out and sad that it's over at the same time, so we're just going to have to find some time to do it again in the future, right ladies?! If you haven't checked out Looks 1, 2, 3, & 4 yet, you definitely should! You know you want to! All pieces from these three looks I'm showing you today are stocked in the shop now! ....minus the boots, just sayin. Another day, another exciting post from my Susan's Boutique Fall Lookbook! If you haven't seen Looks 1, 2, & 3 yet, be sure to check those out! 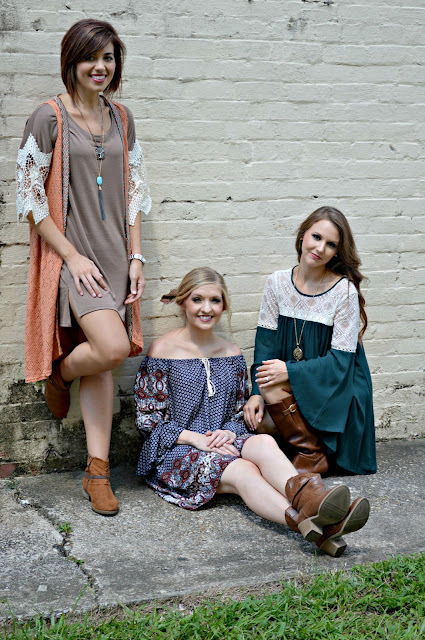 All pieces (except boots) from these three looks are currently stocked at Susan's Boutique in New Iberia, LA! Head to the shop ASAP to get your look together for Sugarcane Festival weekend if you haven't already! 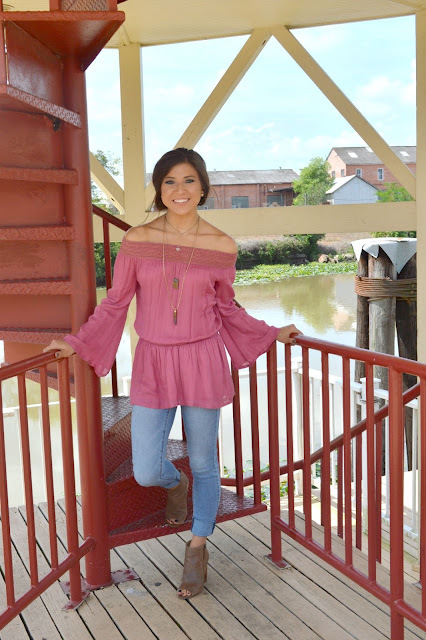 Day 3 of the Fall Lookbook series for Susan's Boutique in New Iberia, LA has arrived and I'm showing you a couple of great looks that you locals will look amazing in for the Sugarcane Festival this weekend! If you haven't seen Looks 1 & 2 yet, be sure to check them out! All pieces from these two looks are currently stocked in the shop with the exception of the boots, so run and get yours now! 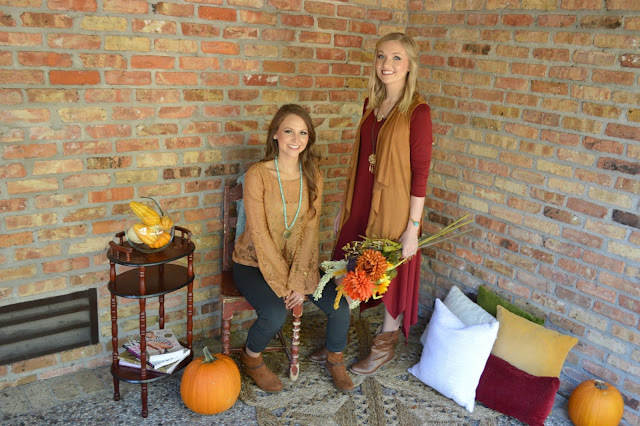 It's day 2 of the Fall Lookbook Series for Susan's Boutique in New Iberia, LA! 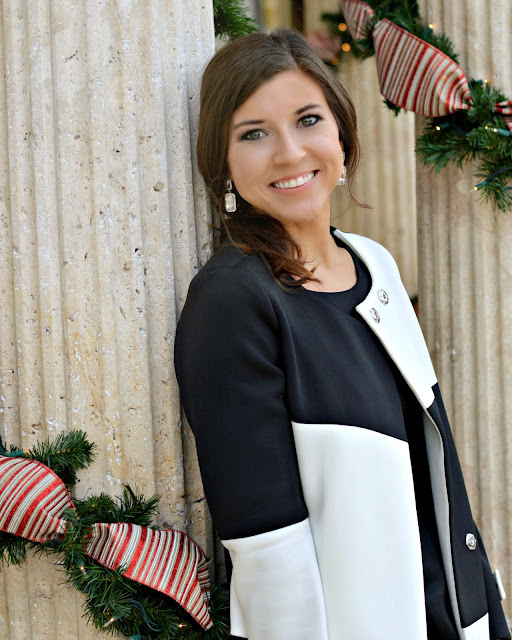 If you haven't seen Look 1 yet, be sure to check it out on yesterday's post! All pieces from these two looks are currently stocked in the shop with the exception of the shoes and hats. 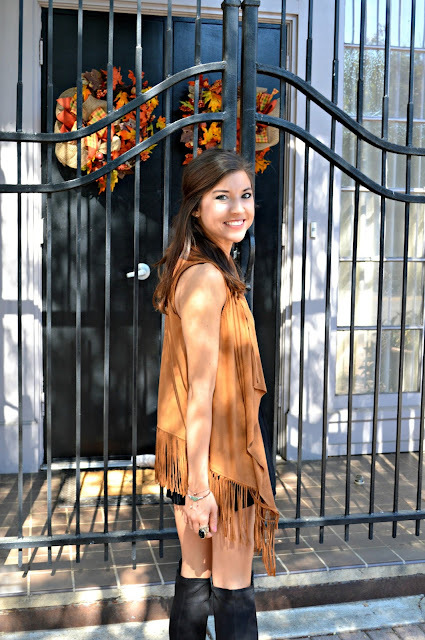 Today, I'm kicking off a weeklong series of posts full of fabulous fall fashion from Susan's Boutique in New Iberia, LA! 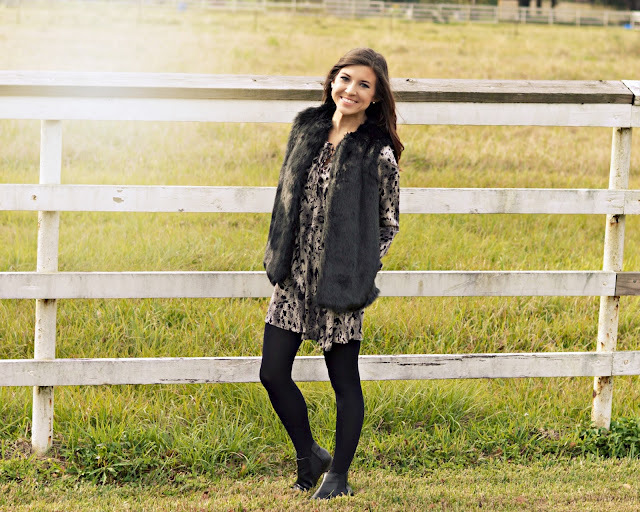 Susan's is devoted to bringing fabulous styles to ladies in both junior's and women's sizes. The shop carries the perfect ratio of classic and trendy pieces with tons of unique jewelry and accessories! 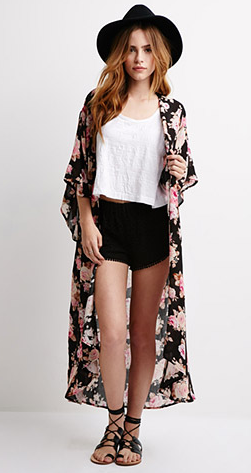 It's currently full of beautiful pieces to help you transition from summer to fall! Happy Monday! Question: Are you a "dress for the weather" person or a "dress for the season" person? Me? I'm a "dress for the season but will not be caught in a fur vest and boots in 80 degree weather just because it's September" person. You know, the normal kind. So here's to you, Louisiana, for keeping it nice and toasty outside just the way I like it until you're ready to freeze over completely..at which time, I will be happily locked inside my heated apartment with lots of books and coffee to get me through to summer again. Ok, I'm not that cynical..I just really love summer. HAPPY LABOR DAY! 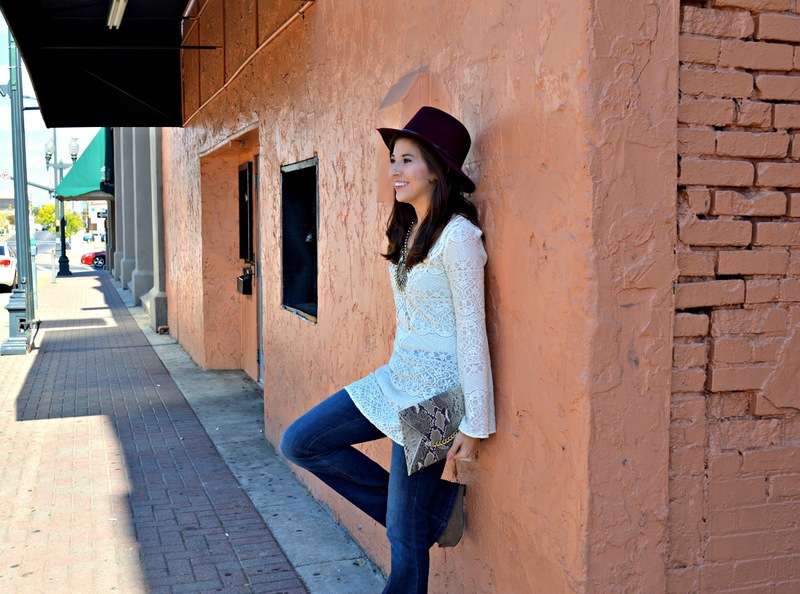 Today's look is all about this pretty pink tunic! The drop waist top can be paired with jeans or leggings (hellooo comfort!). I went with a light washed pair of jeans this time and cuffed them to show off my favorite pair of tan booties. 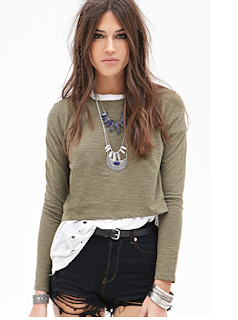 Layered necklaces (as usual) add detail to this solid colored top. 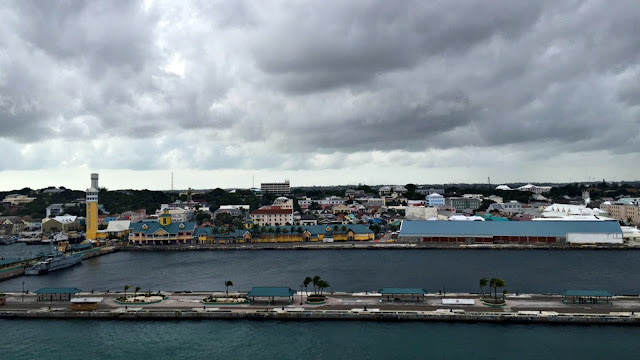 It's Monday again, and although Monday's are no one's favorite day of the week, you better believe I've got something to occupy you for about five minutes. Haha. Last weekend, I went down south for a quick visit with my momma and enjoyed some bayou-side quality time with her. Happy Monday, readers! 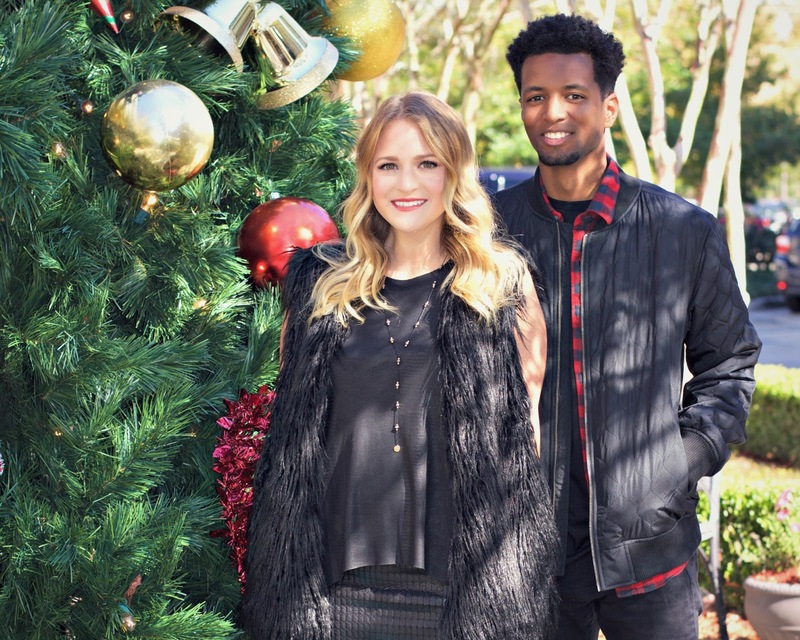 Today, I'm bringing you a post that's very near and dear to my heart! I'm featuring a boutique adventure that my college friend, Jamie Rogers, recently embarked on and I could not be more proud of her! 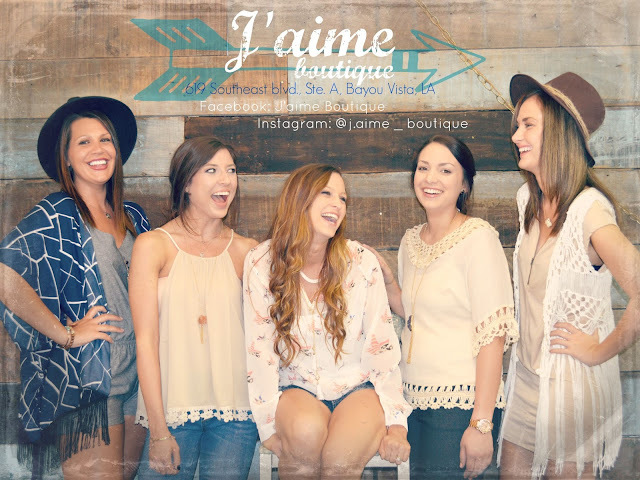 J'aime Boutique is located in Bayou Vista, LA, and it is THE place to go for all of your inner flower child's desires! Everything about this adorable little shop screams boho chic! It's Monday again, ya'll! My weekend went by way too fast, but I did have tons of fun and I'll have the pictures to prove it next week. 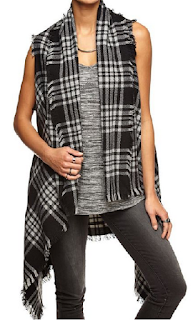 But first things first...this neutral look is what we're talking about today! 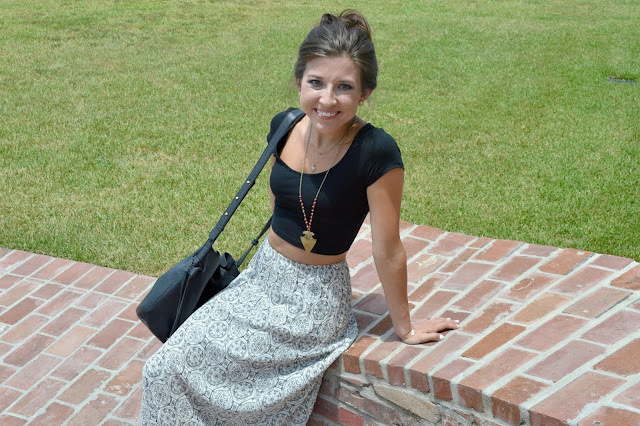 This week's post is the final installment of the Sisters of New Iberia Boutique Spotlight, and this time, I'm showing you the look I chose for myself from this fab little shop! It's no secret that I love a great maxi skirt. What is a secret, however, is that I've always been a little too self conscious to rock the crop top in it's true, midriff baring form. Hey, I didn't say it was a super juicy/interesting secret. I'm working on letting that insecurity go, though (ignore the rhyme), and trying to let loose a little. Hey party people! 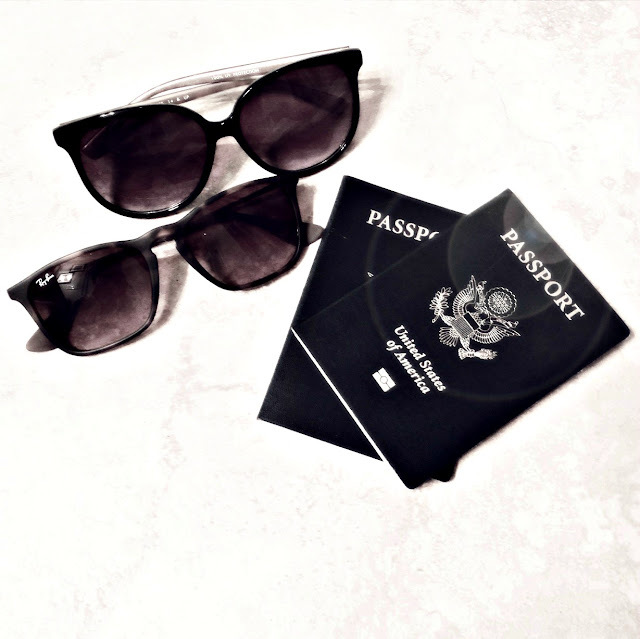 Today, I'm teaming up with Warby Parker to show you how I #seesummerbetter in their amazing sunglasses! I may not be doing a whole lot of traveling, but I'm still having a nice summer! Here's how I spend my free time! At around 7:30PM last night, my college town was struck with devastating tragedy as a gunman opened fire inside a movie theater I spent many nights at. 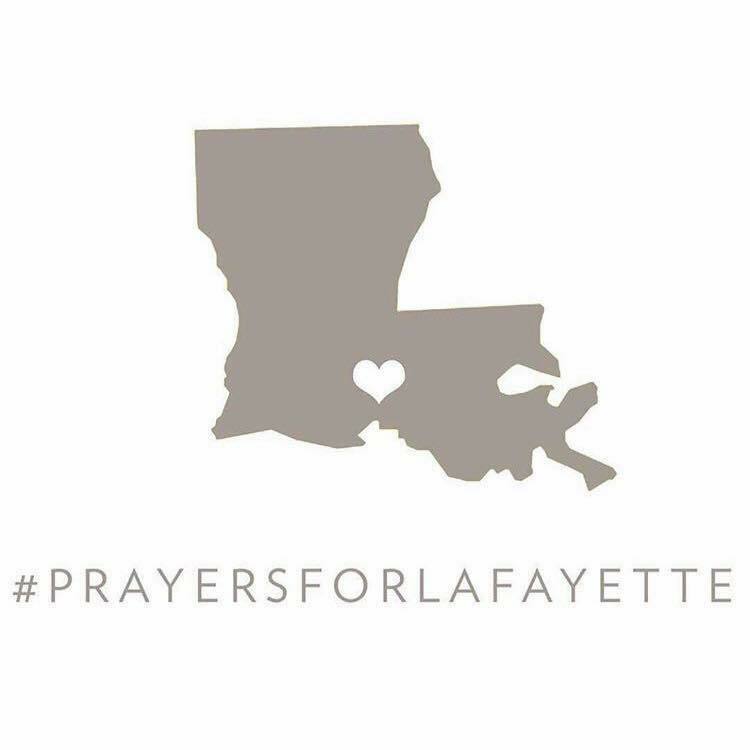 The shooter killed 3 including himself, and injured several more locals in the place I still call home. It is with a heavy heart that I bring this topic to my otherwise cheerful, bubbly blog. As our community comes closer together during this time of confusion and fear, my prayer is that all of these tragic events come to an end soon. That we rely on our Savior to guide us through what is now a very scary world to live in. We cannot live in fear. Happy Monday! What's the best part about Monday's? 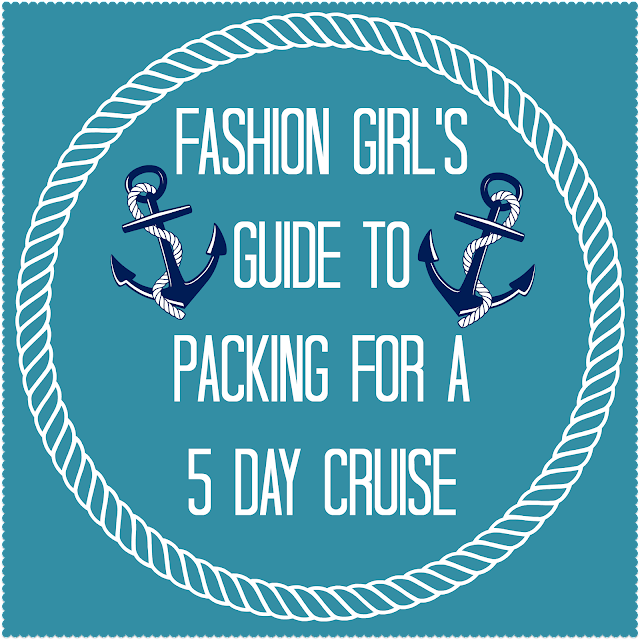 My weekly blog post going live! Duh! 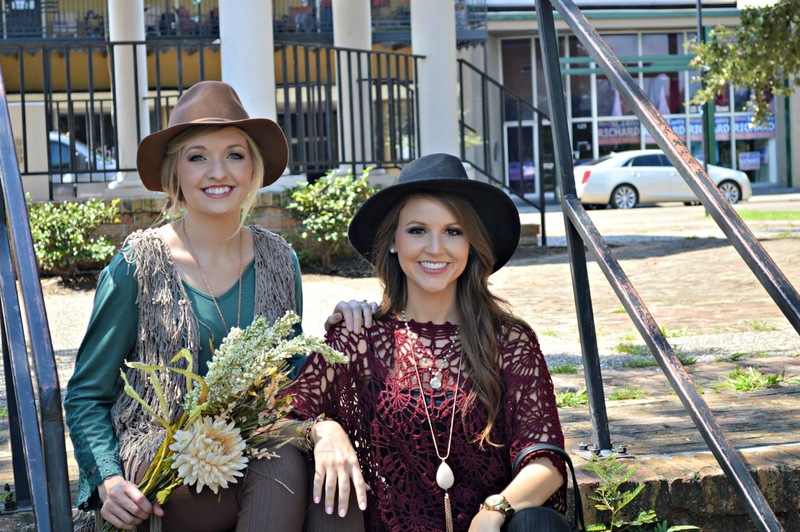 A couple weeks ago, I introduced you to a fab little boutique in my hometown called Sisters. Well, I'm back with Part TWO of my Sisters looks and this one stars my own little sister, Lexi, again! How many times can I say "sister(s)" in one post? It's always difficult to get back to business on Monday morning, but when you've had an extra long weekend, it's even more difficult...or is it just me? Annnyyywayyyy, Happy Monday, ladies and gentlemen! This week's look is a casual one...most of my looks are. 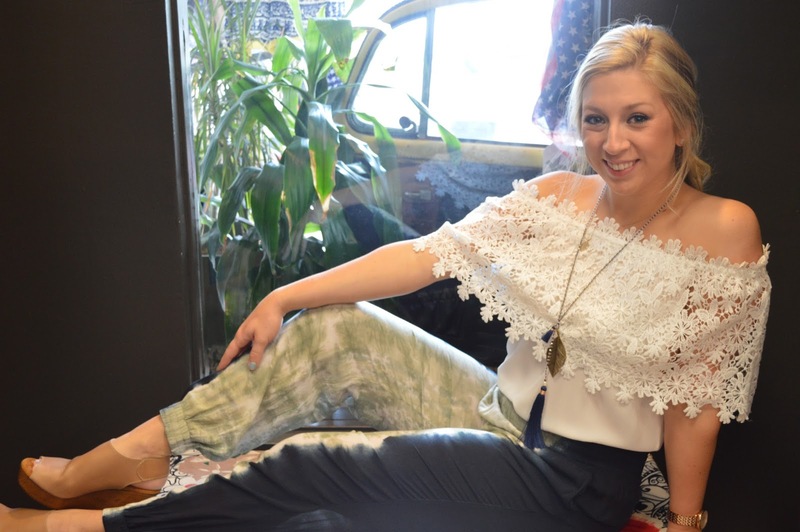 Last weekend, I had the pleasure of popping into a great boutique in my home town and styling my pretty baby sister with a few of the awesome pieces in the store! Sisters is owned and run by Mrs. Angela Courtois who was the sweetest, most helpful lady anyone could ask for! Her shop is full of unique displays and one-of-a-kind props that make her shop different from the rest. And, of course, she's got some really great pieces from amazing brands! In honor of Father's Day, my fabulous little sister came up to visit my dad and I for the weekend! We're two peas in a pod, so any time we get to spend with each other is always a good time. We went to see my cousin's band, Quiet District, play in a nearby town and had a blast. I'm not one to get my nails professionally done all that often. I, honestly, can't remember the last time I went to a salon for a mani. I enjoy it and all, but why drive to a salon and pay to get my nails done, when I can stay at home in my pj's and do them myself while binge watching episodes of One Tree Hill on Netflix all day? No reason. No reason at all. 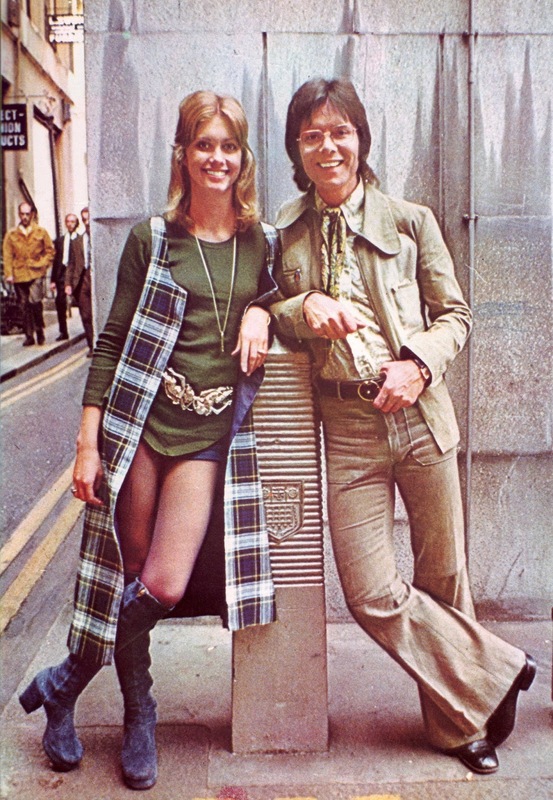 I've said it before, and I'll say it again; the 1970's has been a long time front runner for the title of my favorite fashion era. Today, we're talking about, English babe, Olivia Newton John, particularly, her ensemble in the photo below. What I love about this look from her is the mix of chunky accessories (i.e. her belt and platform boots) with a casual t-shirt, shorts, vest combo. 70's glamour and 60's minimalism all in the same look. Today, I'm helping you to recreate her look with pieces you can find now! Start with a basic, olive colored, long sleeved top. This one is updated a tad bit because of the cropped hemline. 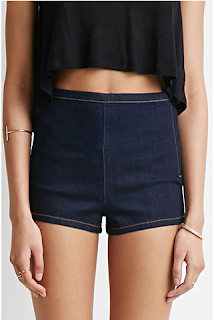 A pair of denim shorts is next on the list. Olivia's are super short, but stick with whatever's comfortable for you. Part of what makes me love this look so much is the long plaid vest. Any print will work here, since the rest of the look is solid, so have fun with it! The two below are great options. Olivia's boots scream 60s and 70s. A gray boot with a chunky heel will give a similar effect to your look. 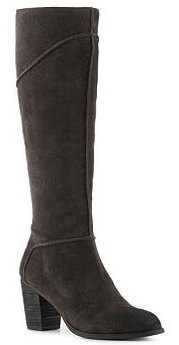 If it's too hot to wear a knee high boot where you are, go for an ankle boot! My favorite part of her look is her belt. I think it's such a fun statement piece. 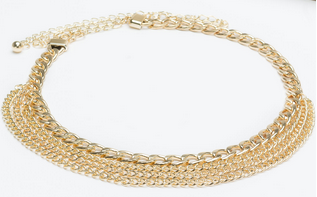 Add the same type of statement to your look with a toned down chain belt like this one, or the many others on the market right now! 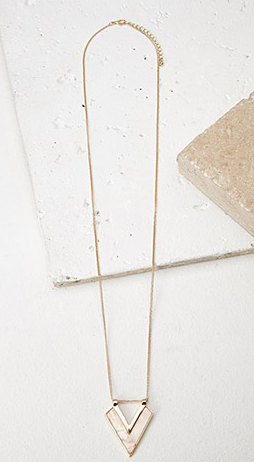 Complete your look with a long, gold necklace, and you're good to groove! Haha! Sorry for the cheesiness, but you know you love it as much as I do! There's something so fun about recreating an amazing look from the past! What is your favorite fashion decade to pull inspiration from? Let me know in the comments! PS- Check out my post for SBmag.net on metallic temporary tattoos! And bookmark the website to see more posts from me there!